FEA Analysis is at the heart of what we do at BroadTech Engineering Singapore. 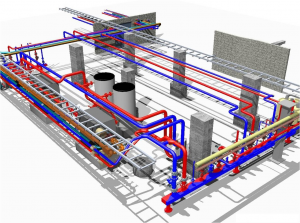 Through our FEA services, we have the capability to use world-class FEA software assist you in solving complex structural engineering problems so as to enable you to make a calculated and accurate engineering design decision within a shorter span of time. An actual real-world engineering test can inform you of an occurrence of a failure in a product or structure, however, this inefficient testing and development practice is often Costly, takes up precious product development time and in often cases, does not accurately reveal the actual reason behind the failure. With our FEA consultancy services, we can give you answer to several questions that an actual test simply cannot. 1. Identification of Areas with Excess Mass to eliminate unnecessary material and weight. 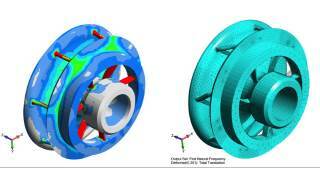 At BroadTech Engineering, we provide a complete range of finite element analysis (FEA) engineering simulation services. 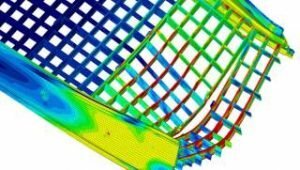 Some of the common types of FEA engineering analyses that we have successfully solved for our FEA consulting clients include Structural, Thermal, Fatigue, Composite, Explicit Dynamics and Fluid-structure interface (FSI) analyses. 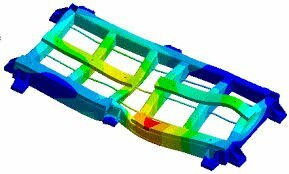 To improve your products or engineering performance, our highly skilled FEA consultants will conduct a structural engineering analysis via a comprehensive Finite element simulation to provide answers to your engineering challenges. Static structural analyses simulation allows for the significant predicting and validation of structural deflection, distribution of Strain and Stress regions, and temperature distribution within an assembly under analysis. Although this is the most common FEA analysis performed for structural validation, the simulation is often rarely simple in nature and has in recent years evolved to encompass complex interactions within the simulation analysis (eg. Surface Contacts, Mechanical joints, Composite materials) to interacting with other physics (fluid-structure, electromagnetic-structure). A kinematic analysis is often used when the motion or displacement of an assembled design is pre-dominantly consist of joints within the mechanical system. A kinematic analysis is considered to be rigid when deflections are totally characterized by the joints or can be flexible when the stiffness of the moving parts is taken into consideration. ● Plot tracing of Critical Points. Explicit dynamics solutions are suitable for analyzing physics that involve extreme loading forces exerted over a short period of time (in the order of micro- or milliseconds). It can also be used for investigating dynamic non-linear physics problems, such as an occurrence of eroding contact, exceedingly large strain, and material fracture failure. The dynamic analysis allows the user to account for the time-dependent behaviors of their structure. For linear dynamics, the initial effort is often to obtain the natural frequencies through a modal analysis. Results are then used in a seismic, harmonic, shock, random vibration or transient simulation to determine deflections, stresses, and strains. For nonlinear dynamics simulation, a direct transient analysis can be carried out. Through Fatigue analysis and Fracture failure analysis, we are able to provide you with clear answers to your most pressing fatigue life prediction investigation questions through professional numerical analytical simulation of fatigue life prediction. Component failures are often not caused by a single event, but due to incremental damage caused by a series of event occurrence. The typical fatigue process is to maintain stress/strain values below the allowable for the required number of cycles. Multiple loading forces often occur and will have a different cyclic requirement. 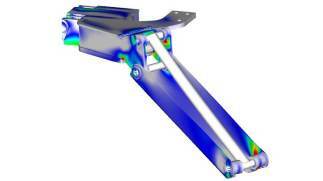 ANSYS Fatigue or the more advanced nCODE can reliably predict the component life. An alternative approach is to understand that a fracture exists in the component. The crack is analyzed to determine whether it will further propagate, and if so, at what speed. Composite materials are widely popular for engineering applications because of their unique high Strength to Weight ratio as well as the flexibility they offer to be optimized. FEA Analysis Simulation helps optimize the design for maximum durability by giving insights into the best configuration of Fiber orientation and Stack-up to meet desired structural goals with the minimal possible weight. 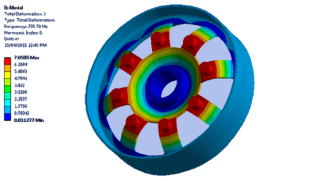 Composite simulations add an additional degree of complexity over other FEA analysis. One can utilize dynamics, advanced non-linear capabilities and thermal, combined with additional factors of ply orientation, resin properties, draping, curing stresses, degradation fields, progressive failure and complex failure criteria. 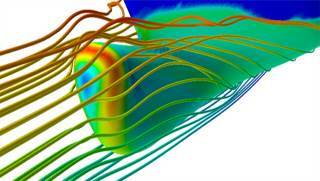 The ANSYS Composite Prep/Post module facilitates the generation and eventual post-processing of the simulation models. BroadTech Engineering’s strength includes analysis of composite manufacturing processes, thin and thick composite capabilities, material experience, localized attachments and thermal. In many applications, the primary parameter of emphasis is the temperature distribution in an engineering assembly design when it is exposed to a combination of both internally generated heat as well as External thermal heat sources. 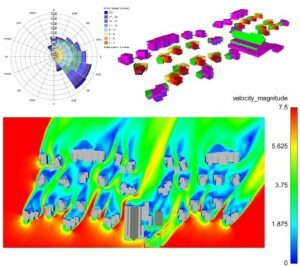 For these categories of design challenges, FEA thermal analysis can provide detailed insights into the temperature distribution and thermal heat flow pathways. Accurate prediction of temperature distributions is critical to performing a thermal stress analysis. Forces generated by thermal expansion can be significant and proper analysis techniques need to be implemented. 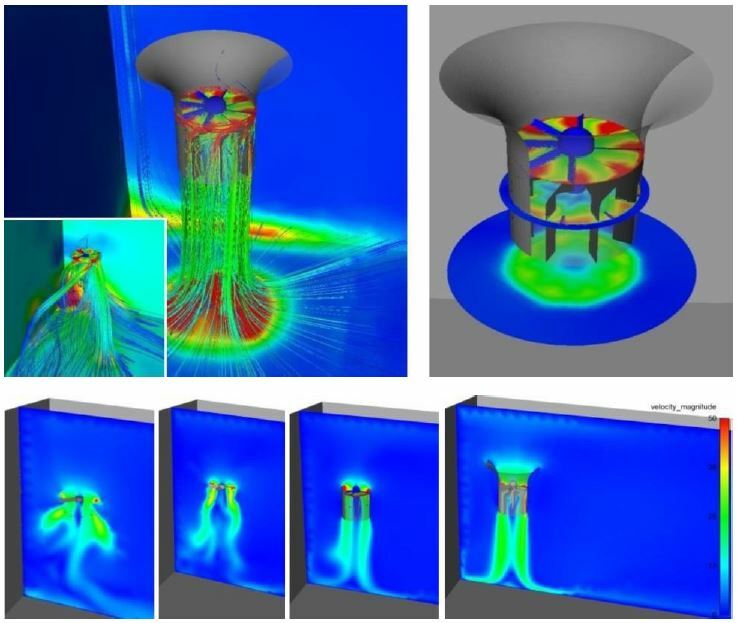 With ANSYS’s accurate analysis capabilities in conduction, convection, radiation, temperature dependent material models, and internal heat generation, complex systems can be accurately simulated. These can be further advanced by performing FSI with a CFD model. These days as the fast-paced business landscape has become more competitive, even a small gain in material performance can be instrumental in the success or failure of the product. Optimization can be measured in a variety of ways, such as cost, pressure drop, mass, deflection and useful life. By means of either parameterization or topological optimization, engineering designs can be drastically refined to maximize their performance durability. An additional metrics that are of a close relation with Optimization are Sensitivity and Robustness. There are cases where a structural design performs perfectly under a specific manufacturing and environmental conditions, but a minor deviation can quickly degrade this. Often the optimum design isn’t the one that has the best results for one specific operating condition but has good performance over a range of external conditions. Having a design performance that is insensitive to external variables allows the opening up of machine tolerance. This helps to cut down cost by eliminating the need for tight tolerances. 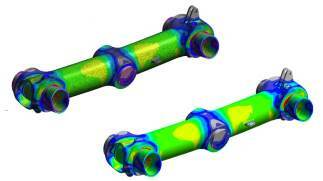 Because of the speed & economical advantages, Finite element analysis is popularly adopted early in the product development process to effectively predict whether a product concept will fracture, Wear out, or perform the way it was designed. If required, we can tailor and automate simulation solutions for your specific structural mechanic’s challenges and parameterize them to simulate multiple physics scenarios. 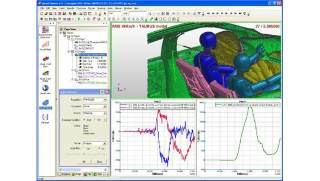 For even greater fidelity, our simulation software tools can also be seamlessly configured to work with other physics simulation tools. FEA Simulation also offers the 2D/2 Dimensional simplification assumption for Plane Strain, plane Stress, extrusion features, or Axisymmetric features. Our FEA consultants can support the simplification of the modeling of various types of structural beams (such as Straight, Curved, and tapered beams) to maximize its performance in a Simulation environment. * For a fast setup and modeling of the simulation analysis, structural members that are modeled as weldment features in 3D CAD are automatically converted to beam elements. 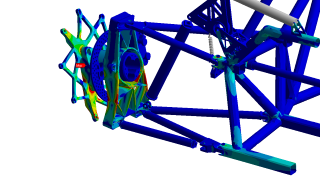 Our FEA engineering consulting engineers employs some of the world’s most powerful analysis tools which are widely adopted in the engineering simulation industry. 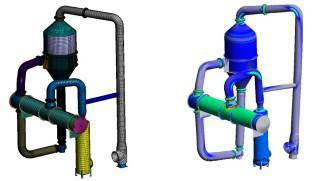 Our team of FEA engineering consultants you will be working with has advanced post-graduate degrees and extensive research experience across a broad variety of industries including Turbomachinery, Biomedical, Aerospace engineering, Civil-structural Building, Chemical processing, Energy generation, Oil and gas, and Consumer products. 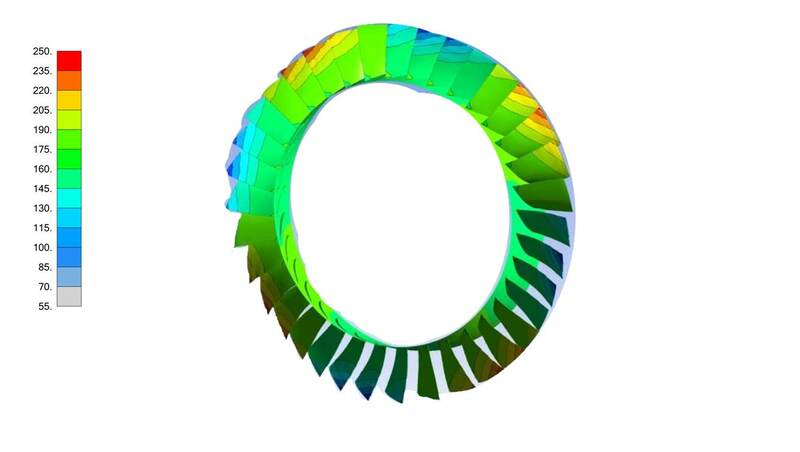 During the entire duration of the FEA consultancy project, our FEA consultants will work closely with you to understand your simulation requirements to ensure that the right finite element analysis input parameters are selected. 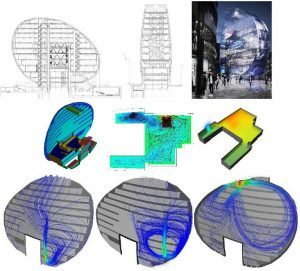 For several years, our FEA consultancy services have been trusted upon to provide solutions to some of the most challenging Structural and Thermal engineering simulation projects. From basic part component analysis to complete end-to-end FEA analysis processes, we are able to provide benefits that help you to solve real-world challenges. 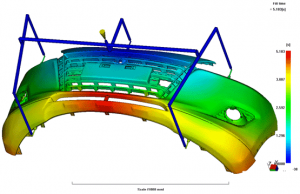 Our cost-effective analysis solutions allow smaller-scale companies to enjoy the advantage of a professional Finite Element Analysis solution without incurring a heavy expense of employing a full-time in-house FEA analyst. 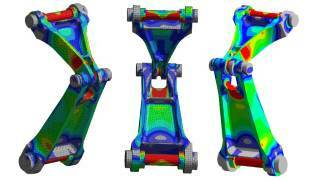 Our FEA consulting services does not just stop at the delivery of simulation results. To make sure that there is a full knowledge transfer at the end of the analysis, we provide thorough training to ensure there is full clarity on the understanding of the FEA results. Discover what FEA Analysis can do for your company today by calling us today at +6581822236 for a no obligation discussion of your needs.